Three businessmen were yesterday arraigned before an Ikeja High Court, Lagos for allegedly defrauding an Indian, Mr Khanh Lai of $146, 060 (equivalent of N52million). The defendants identified as Prince Martins Nwaedi (aka Prince Martins Dike), 48, Oliseh Dike Anthony (aka Lawrence Mhkize, Terry Cassidy, Okolie Anthony, Dike Anthony), 38, and Victor Onyebuchi Okafor, 43, were arraigned alongside one Marydicc Ventures Limited. 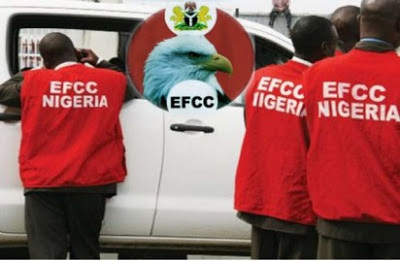 The EFCC alleged that the businessmen connived to defraud Mr khanh Lai of the said sum on the pretext of helping him secure an investment in Nigeria worth $200 million belonging to one late John Alex Ivan, a United States National, who resided and died in Nigeria. The commission alleged that the trio initially obtained $137, 380 in March, 2012 as the cost of investment deposit certificate worth N200 million and later demanded a legal fee of $8,680 cash deposit in March 2015 from the victim. They pleaded not guilty to the charges. Justice Oyindamola Ogala thereafter adjourned the matter till September 6 for hearing of bail application.